I found this idea one day not too long ago while I was surfing the internets, and decided to make it for my husband for Valentine’s Day. 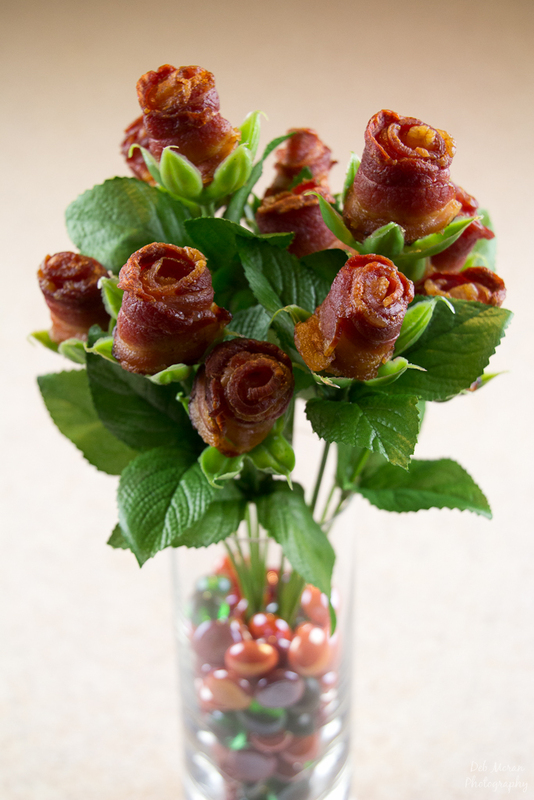 To give credit where credit is due, here’s where I found it: http://www.instructables.com/id/Bacon-Roses/. I did make a couple changes, so here’s my version. Two packages of bacon – thick cut works best. 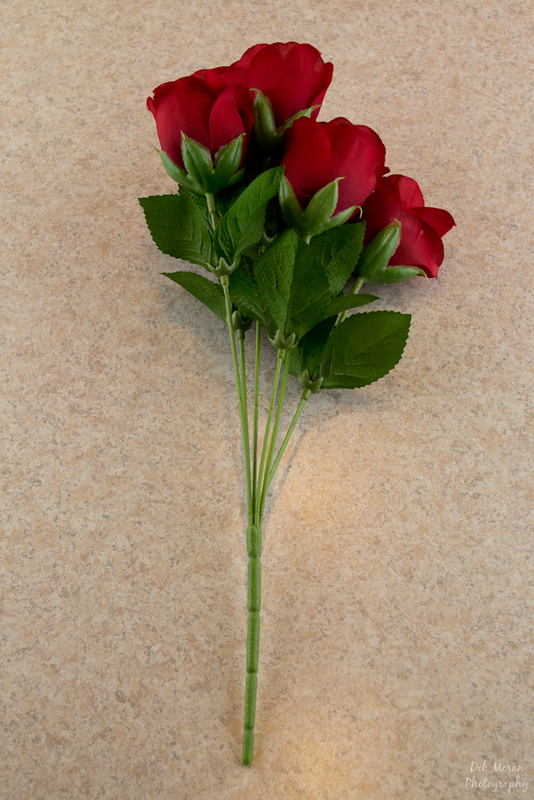 Two dozen faux roses from the craft store – I found them in stems of 6 each for 99 cents. Broiler pan – the kind that drains into a bottom pan. Remove bacon from package, rolling each piece as you go along. Begin with the fattier end in the center, and roll it so the outside ends up with more meat for a rosier color to the blossom. Although you will ultimately want only a dozen roses, you should make at least 18 so you can choose the best ones. 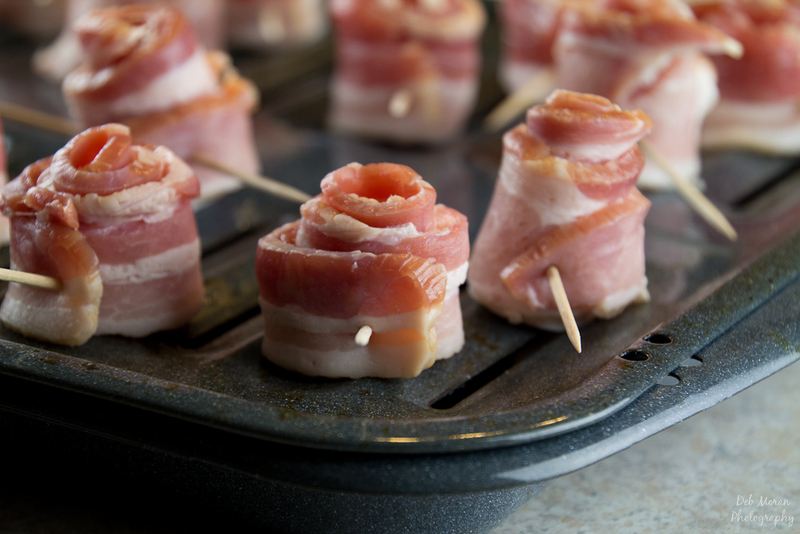 Place each rolled piece of bacon on the broiler pan, on top of an open part to allow the fat to drain. If the bacon cooks in the fat, the center part of the blossoms won’t cook well. 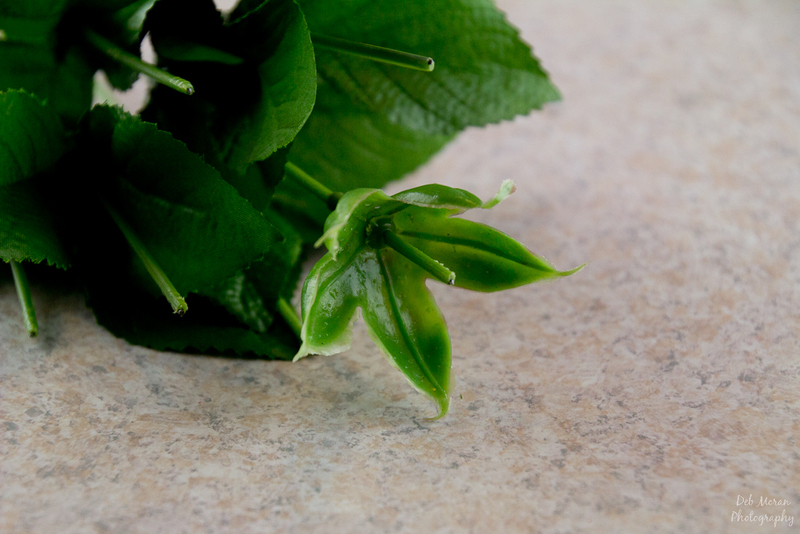 You may want to use toothpicks to hold the blossoms together while baking, so they don’t unravel. Place the pan in the oven and bake at 375 for 30-45 minutes, checking for doneness at 30 minutes, and cooking longer as needed (mine went for 45 minutes). When the bacon is fully cooked, remove from oven and let cool on paper towels. 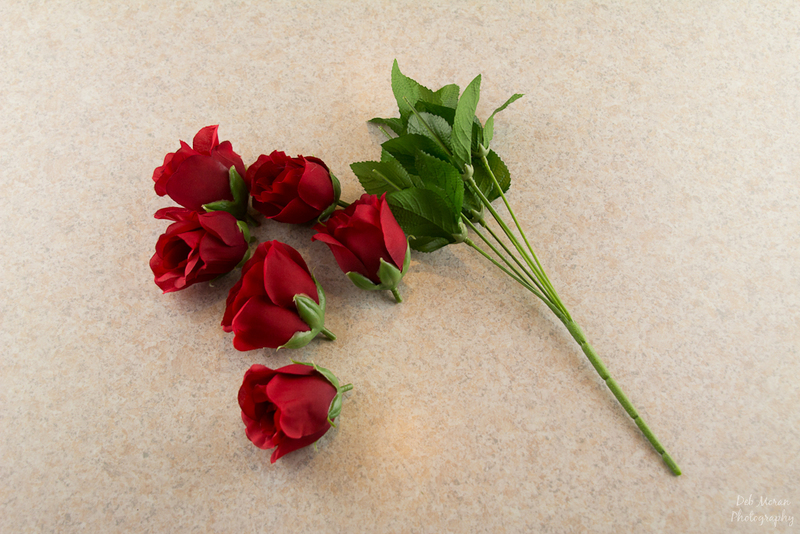 Remove roses from the stems. You’ll have to disassemble the entire blossom. 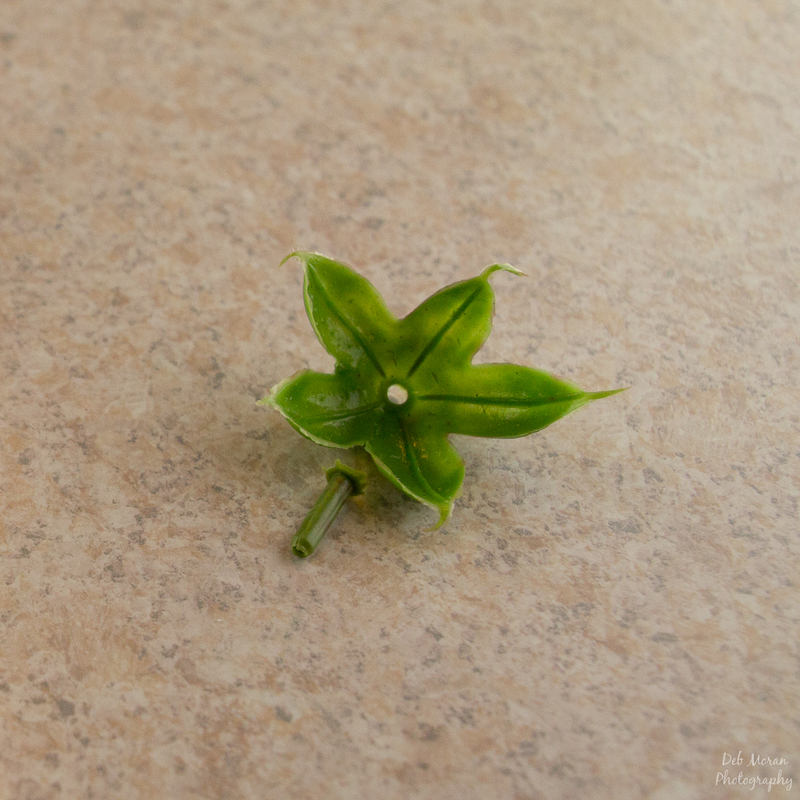 Keep only the decorative and base “leaves” and the stem of the blossom, and place them back on the stems, leaving about ¾ in stem above the base leaves. Discard the rest of the rose assembly or keep for future crafting. 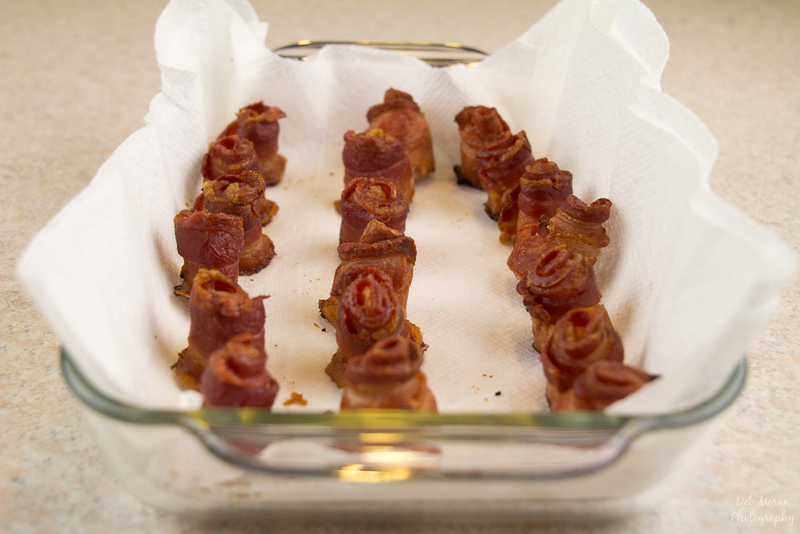 Place stems in a vase, and thread your bacon roses onto the stems. 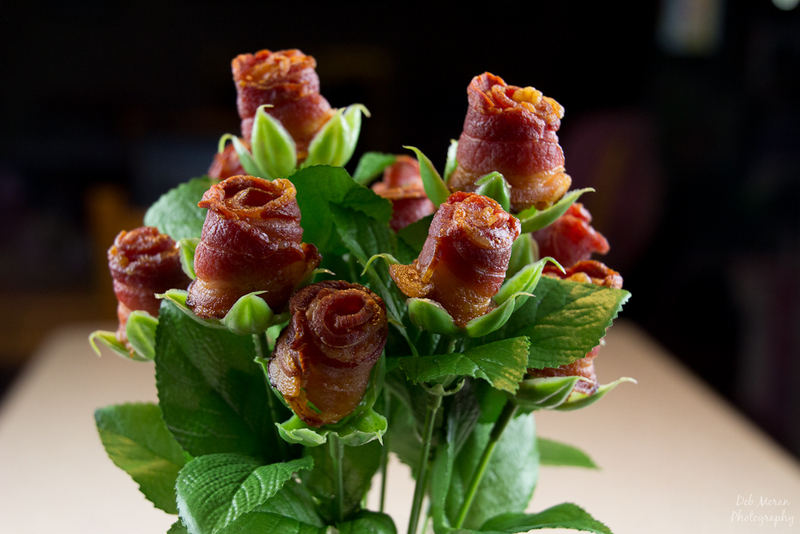 Present this beautiful bouquet of bacony goodness to your loved one.